Tell your friends, your family and your neighbors that we are THE place where they can donate books in Chicago. Just shoot an email to booksfirst01@gmail.com for drop-off details. Get the word out by friending us on our Facebook page and follow us so our posts appear on your page. If you know anyone in the media…a reporter, a stringer, a columnist…tell them about us. Engage your kids in cleaning out their bookshelves of gently loved, but no longer read books. We’ll send them our BooksFirst! thank you card to hang on the family fridge. Become a BooksFirst Transport Angel. Angels pick up and deliver books to our recipient school. 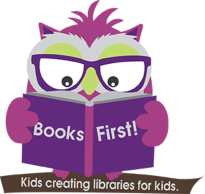 Hold a book drive for BooksFirst! at your school. We can give you a flyer and a guide based upon prior successful book drives. Become a BooksFirst! donor school. 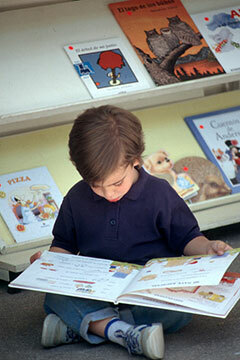 We collect books for schools with 15% or more homeless kids. These kids need books, backpacks, school supplies. We’ll take the gently loved ones your school no longer needs and give them new homes. Become a BooksFirst! drop off site. We currently have four drop off sites on Chicago's Northside. We can never have too many. This is a substantial commitment…it is seldom convenient, frequently grubby and always unpaid. Yet, if kids who most need them going without books keeps you up at night, the rewards are incalculable. Call BooksFirst HQ at 773-472-3709​ or email us at booksfirst01@gmail.com.